For good reason, Mary (the mother of Jesus) gets a lot of attention in the Christmas story. After all, the Gospel of Luke gives us a number of details (throughout Luke 1-2) about Mary’s experiences while Jesus was in the womb and at His birth. Further, it seems as though Joseph died by the time Jesus’ public ministry took off, while Mary lived on. Therefore, there are more biblical records of Mary’s experience than Joseph’s. All that said, it is important for us to think through Joseph’s experience in the story of Jesus’ birth – as it is a remarkable story of faith and faithfulness. Matthew 1:18-25 tells the story of Joseph’s experience during the time Jesus was inside Mary’s womb. Joseph and Mary were betrothed, but not yet married. This meant that they had made the commitment to spend the rest of their lives together, but they had not yet begun to live together and sleep together. Two days ago, we looked at Mary’s experience from Luke 1 as God announced (through an Angel) that Mary would be pregnant (even though she was a virgin) and have a Son who would be the Messiah. This was HUGE news, and certainly would have been hard to believe for anyone who was not talking to Angels! And at first, Joseph was NOT talking to Angels. God first brought the news to Mary before He brought the news to Joseph. So, with Mary pregnant, and Joseph looking only to natural explanations for this situation, Joseph decides to divorce Mary quietly – probably so that she could then marry whoever was the father of the child. But it was not God’s will that Joseph would leave Mary. So, an Angel intervened and visited Joseph to tell him that Mary’s child was indeed supernatural, and that Mary was telling the truth that the Baby was the Messiah. 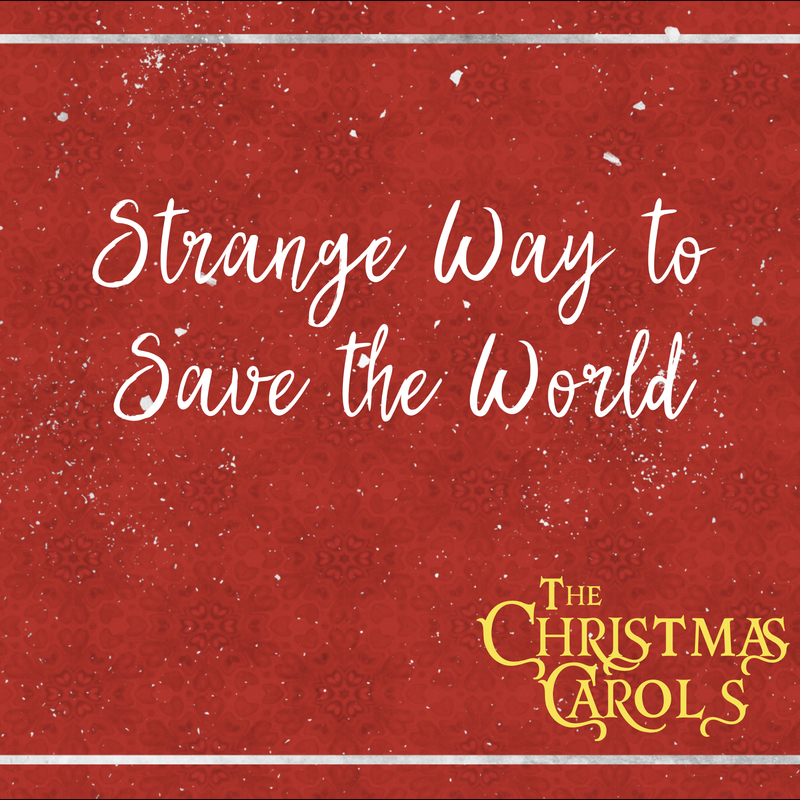 In today’s song, “Strange Way to Save the World,” we get to be a fly on the wall of Joseph’s room as he prays out loud, processing the news of Mary’s pregnancy and the Angel’s visit. This fictional conversation is probably not far off from what Joseph must have been thinking that night after the Angel came. As you listen to this song today, may you also ponder the things about God that don’t make sense to you. Things you might wish to “dismiss quietly” instead of receiving them as true. Let this song remind you that though God’s ways are sometime “strange” to us, there is salvation and blessing in God’s plans in this world.